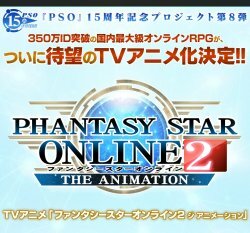 Apparently PSO2 is getting an anime! I wonder if it'll be any good? use it, you need to have already built or obtained a disc image of Limit Over. The patch includes two options: a PPF disc image patch, or individual patches for each file on the disc that was changed. Detailed installation instructions are included in the ZIP file. 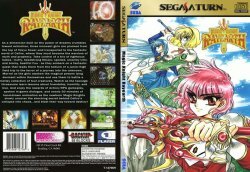 Magic Knight Rayearth for the Sega Saturn was based off of the anime of the same name. Originally released in Japan, translated and brought to the US Europe thanks to Working Designs. Did you ever play this gem of a game and if you did what are your opinions on it?